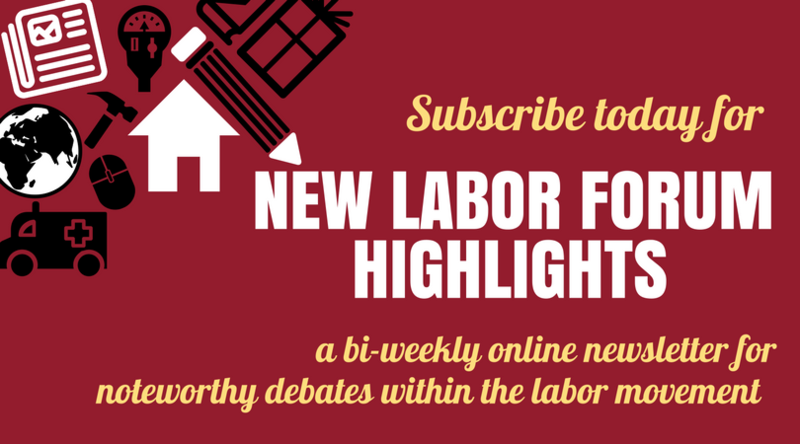 Featured stories, news, opinions, reviews, poetry & arts, and other content from the latest issue of the New Labor Forum. From suburban dreams to suburban nightmares. The authoritarian threat when titans of business invade the political arena. Did Martin Luther King Jr.’s assassination mark the end of a movement merging racial and economic justice? The enigma at the heart of Italian politics. What Should Unions Do After The Strike Wave Recedes? How student consumerism tyrannizes adjuncts.